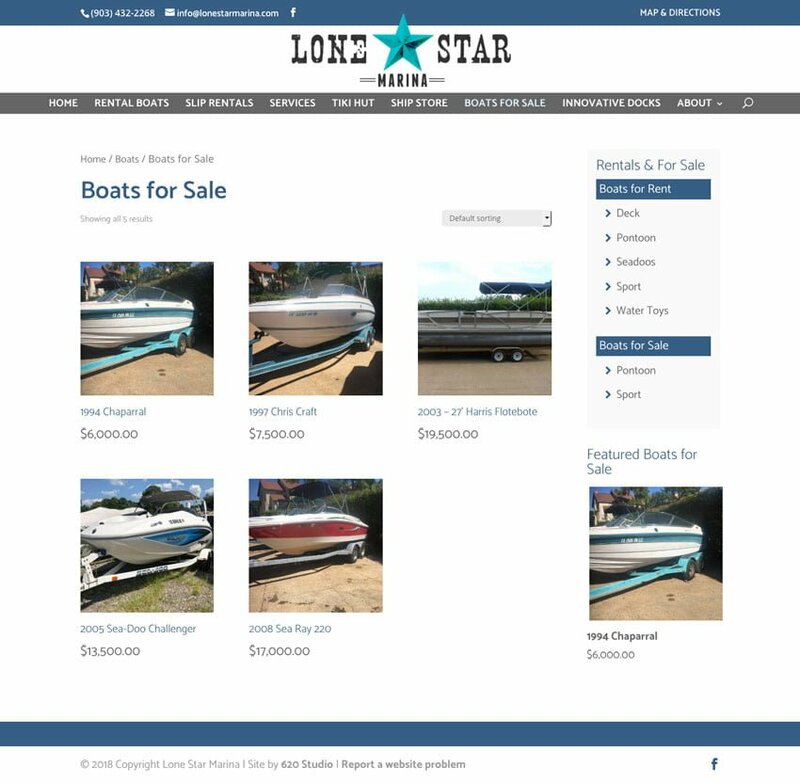 Lone Star Marina needed their customers to know where the venue was located and what services and facilities they had available. 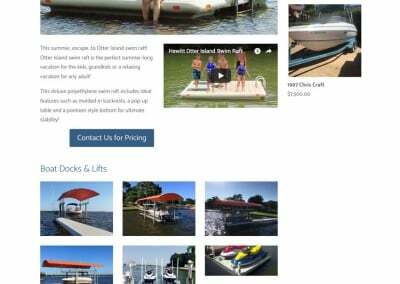 Located on the Cedar Creek Lake, lake-goers can easily refill gasoline, store their boat or enjoy a meal in the restaurant. 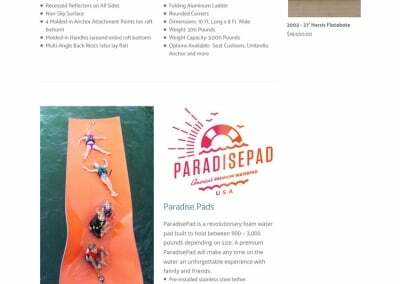 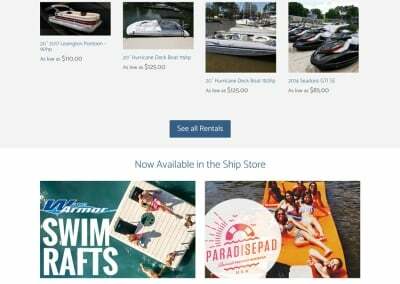 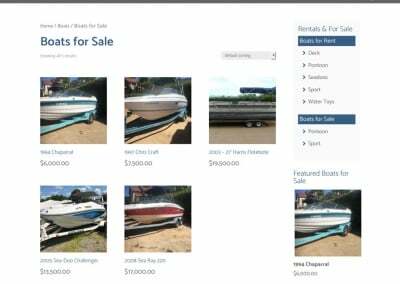 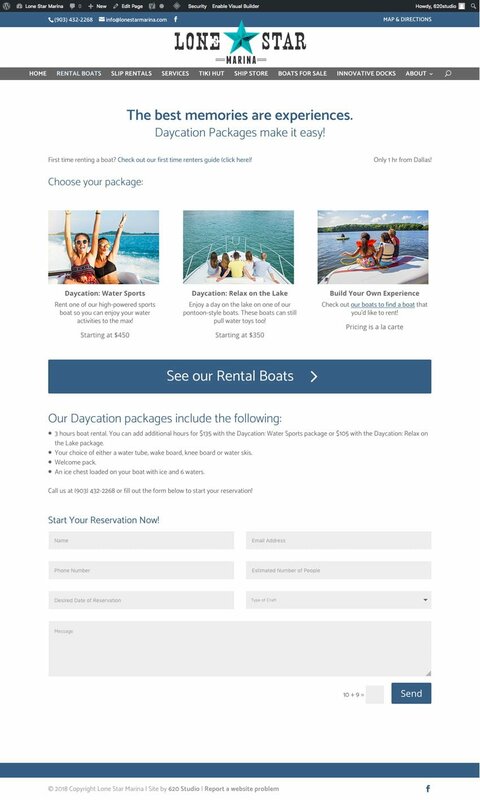 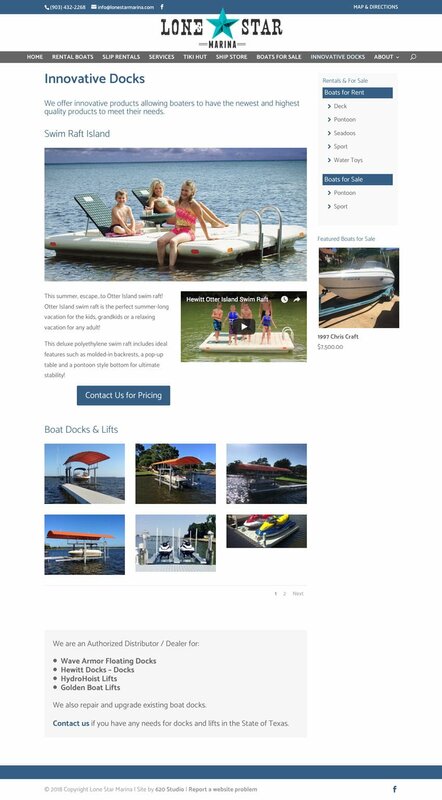 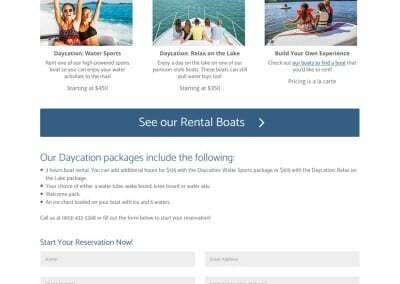 Potential customers needed an easy-to-use, mobile-friendly website to get the latest information along with hours of operation while on the lake.